wire it up and tell us when your thumpin!! 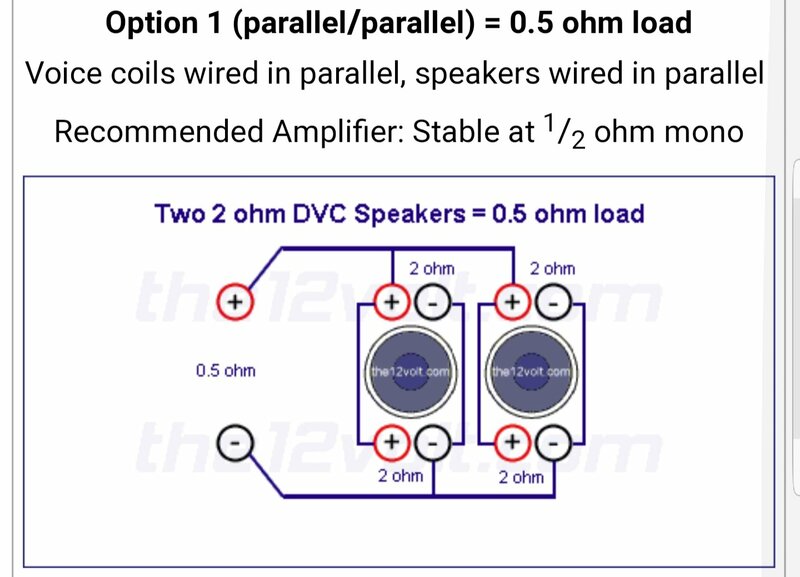 Correct....but your subs are 2 ohm DVC. You cant' wire 2 ohm DVC sub to 2 ohms. either 1 or 4. 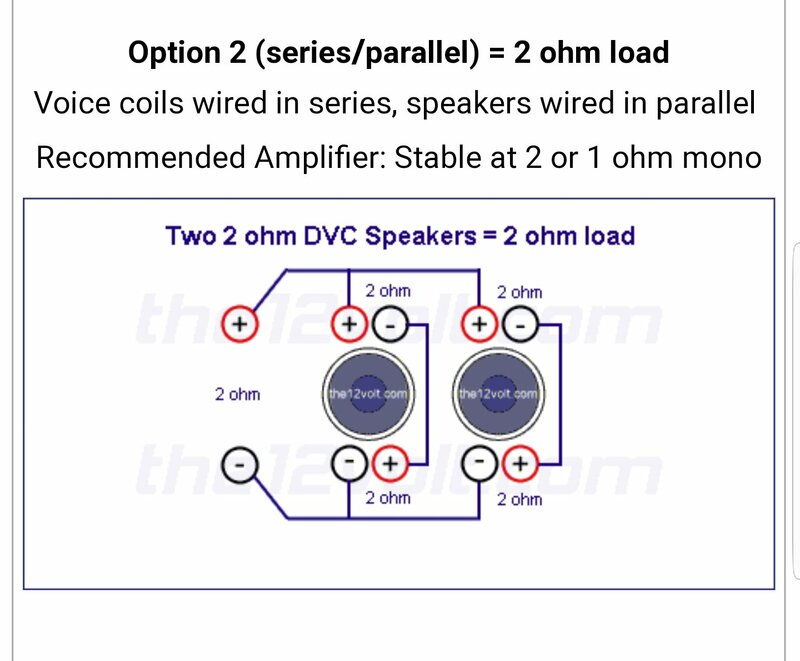 If the sub is 2ohm dvc, that means it is a dual voice coil sub, with coils that are 2ohm each. 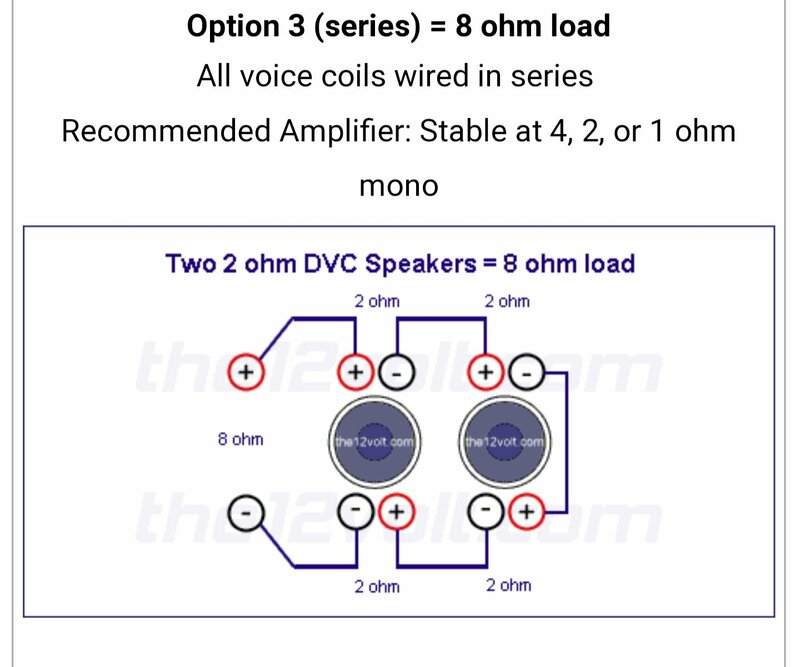 In order to properly use the funcionality of this subwoofer with two voice coils, you wire the voice coils so they both receive power from the amp, which in your case, is going to be one of two ways. you could always buy a second matching amp, gain match the amps, and wire one sub to each amp.